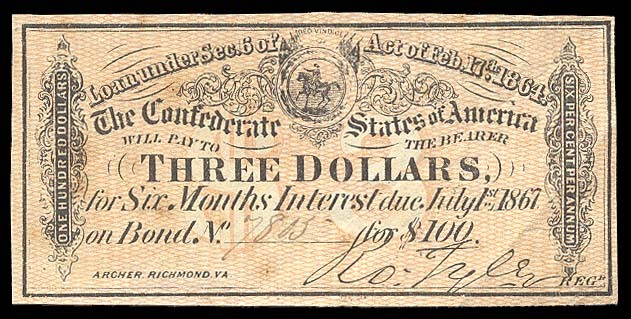 The CSA's money was based on cotton which was a bad thing to fight a war on. From the start their money was essentially worthless, their bonds empty promises. They really should have had a secret treaty with the British before they got started. Hotheads.